On Wednesday I shared my Beauty Gift Guide and today I'm sharing a guide with the perfect gifts for the fashionista in your life! Everything on this list is under $100 except for this bag, which was too cute not to include. I've got everything from budget friendly items like this thermal mug to more luxe items like this laptop case. 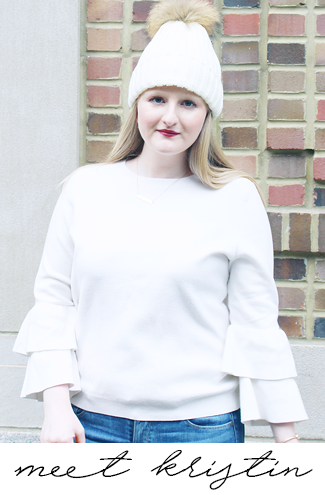 As I mentioned in my Favorite Things I am a big fan pom pom hats so it's no surprise that I am loving the double pom pom hats, like this, too! When doing your shopping it's also important to remember that fashionistas need to sleep in style too; this pj set is chic and looks insanely comfy and goes well with this eye mask. I'm also in love with this adorable book that any fashion girl is sure to love too. There's something in this guide for everyone and every price point! I personally always love shopping for girls who love fashion because I find them to be easy to buy for, my advice is to head to Nordstrom and/or Shopbop for tons of great presents. 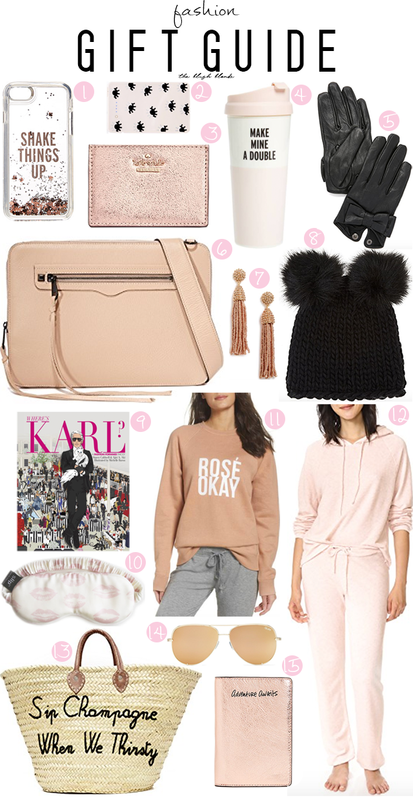 Hopefully this gift guide can help you out with all the fashionistas you need to buy gifts for, especially during Black Friday and Cyber Monday! Today I'm linking up with Trendy Wednesday.